BIRMINGHAM, AL (WBRC) - We’ll see a mostly cloudy sky tonight with the possibility of some sleet in parts of Northwest Alabama. The chances are low, but don’t be surprised to see a few ice pellets in Marion, Lamar, Winston or Fayette Counties. For most of us, the temperatures will be cold overnight. Expect lows between 30-34 degrees. It will be chilly for those attending the Superhero 5K. We will start off the day with more clouds and end it with more sunshine. Temperatures will rise into the lower 50s. On Sunday, a wedge of colder air develops into east Alabama which will mean highs in the 40s for folks east of I-65 and highs in the 50s to the west. Spotty light showers are possible Sunday morning and into the afternoon hours. The best chance sets up north of I-20. The Mercedes Marathon will be in the 40s and mostly dry. Temperatures will rise into the 50s for the Birmingham Iron game. Early Next Week: We’ll trend warmer on Monday and into Tuesday with high temperatures climbing into the 60s. Rain chances will go up Monday night as warm air moves in from the south. 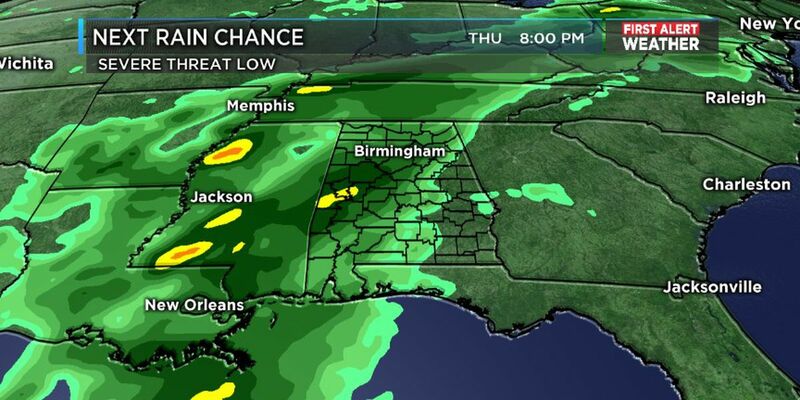 A strong cold front will develop and move into Alabama on Tuesday enhancing our rain chances across the entire area. A few thunderstorms are possible Tuesday. 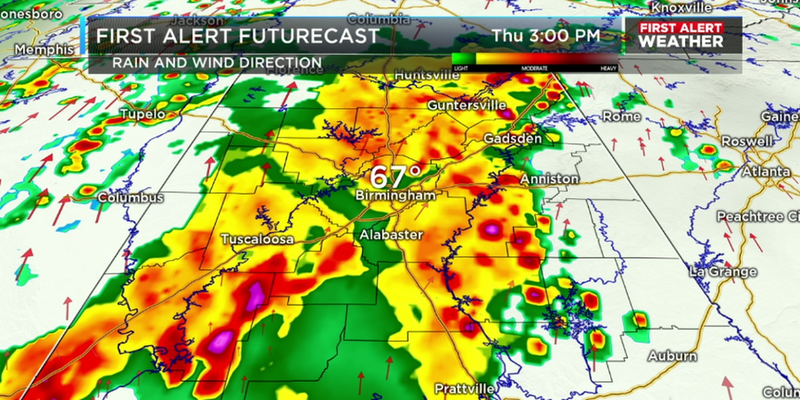 Severe weather is not expected as of now, but we’ll watch the trends as we get closer to this time period. The best rain chance and warmest temperatures will occur in the morning on Tuesday. Temperatures look closer to normal on Wednesday and now the forecast is looking wetter for Valentine’s Day and Friday. 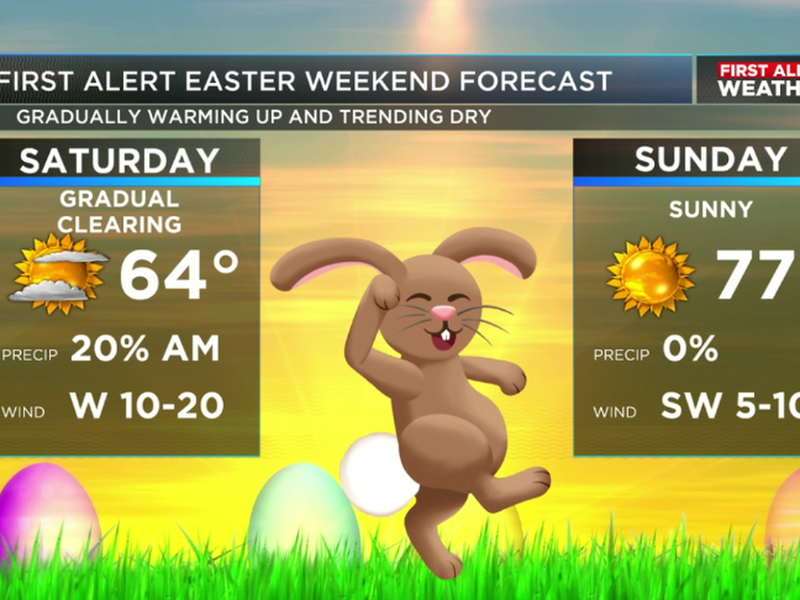 Make sure you download our WBRC First Alert Weather app to receive the latest weather updates over the weekend.